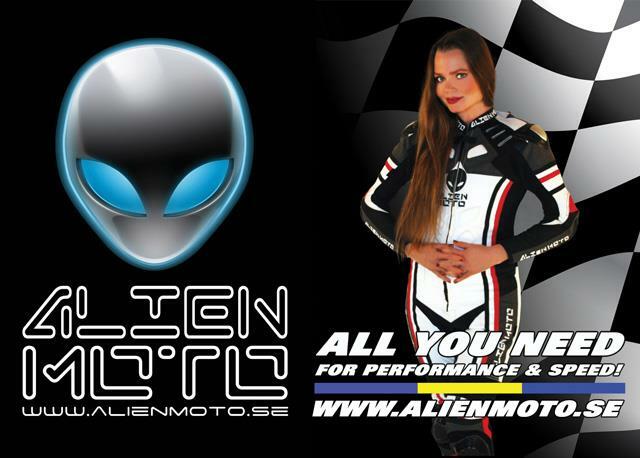 Swedish company Alien Moto has revealed the future of motorcycle protection, with a race suit that uses no animal products and is completely vegan. The Alien Moto A51-RR Evolution is a one-piece race suit constructed from high tech materials bonded together to create what the company calls Alien Skin Technology. The company claim the suit is easier to move in, offers better protection and is lighter than a traditional leather suit, as well as being completely waterproof and washable. CE Level 2 protection is used both inside and outside the suit. The production of the suit has a much smaller impact on the environment than traditional leather suits, with Alien Moto opting, where possible, to buy materials only from companies who actively work with environmentally friendly production. A minimum of 5% of the sales of the suit will go to seriously injured motorcycle riders and animal welfare. Pricing has yet to be confirmed and the suit will be officialy launched during EICMA in November.